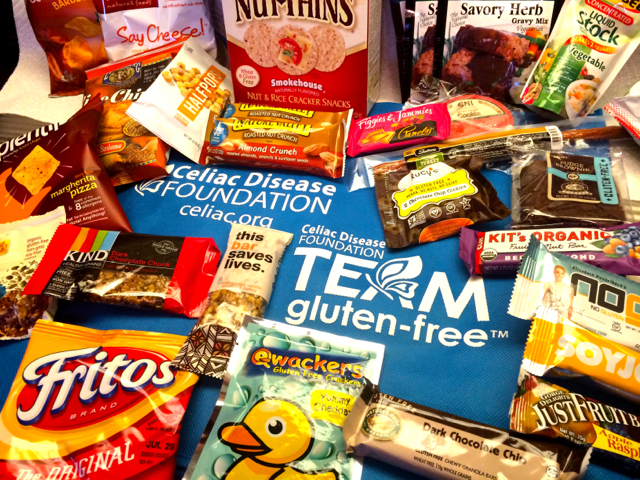 by Tastee BQ Grilling Co.
With over 100 Exhibitors, there is plenty of Free Loot at the 2014 Gluten Free Expo in Pasadena, CA. Here I am entering the Expo. Ready to dive in for the Food Booths. My original Indiegogo campaign to get my product HEROIC! 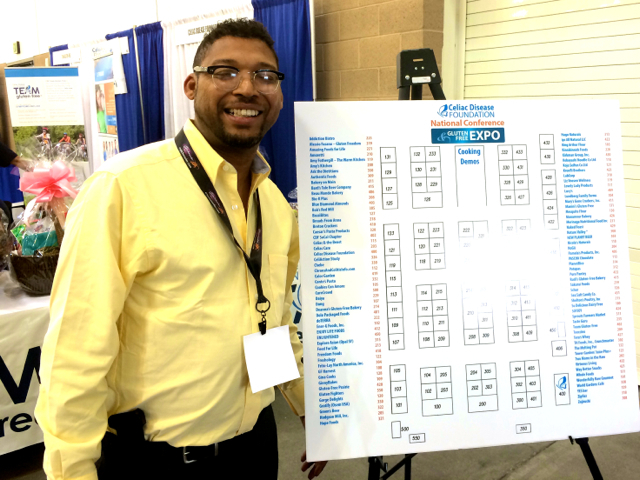 to the Pasadena Expo, took a fortuitous turn in San Diego (See Stars of Gluten Free Blog). So my current mission is for Education and to help raise Donations for the CDF. I mentioned the event being “Queen” because I got to meet the “Queens of Gluten Free” at the National Gluten Free Conference on Saturday. There was Pamela Giusto-Sorrels, founder of Pamela’s Products and Rachel Berliner, the co-founder of Amy’s. I also got personal advice on building customers (as a new brand) from Dr. Lucy Gibney, MD of Lucy’s healthy snack brand. Not sure if the “Queens” will be at the Expo again today, but their food will be. Pamela’s expansive booth is in front, a big full kitchen with both savory and sweet treats to sample. 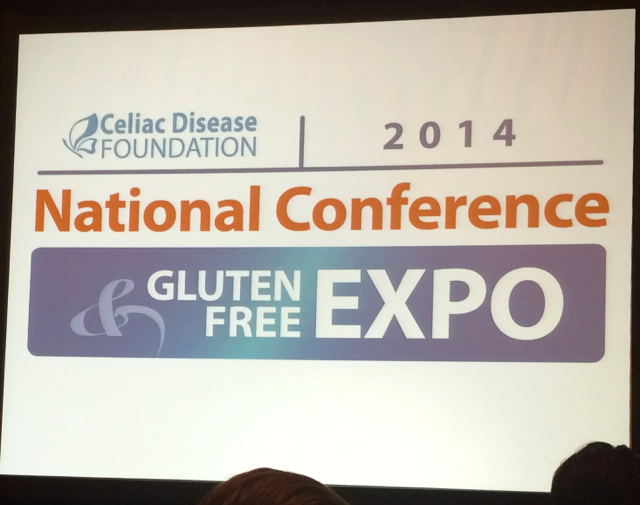 From the Conference at the Gluten Free Expo, Pasadena 2014. – Lucy’s GF, no Dairy Chocolate Chip Cookies. They can be served at any party and non-GF Kids won’t even tell the difference. – So Delicious Dairy Free Coconut Milk, Chocolate Almond Covered Ice Cream Bar. Same as above. Delicious Ice Cream doesn’t taste like “Diet Food”. – Mary’s Gone Crackers Super Seed Crackers- Fresh tasting and delicious Superfoods. Would go great with a sprinkle of GF Superfood BBQ Rub. (We’ll have to talk). –Pamela’s Figgies & Jammies; GF version of classic Fig New-somethings. -The nice variety of the GF Beers and Wines were refreshing and delicious. -Who knew Fritos were GF? and Lay’s Potato Chips…? – BraziBites Cheese Bread Snacks with Bacon. OMG- tastes as good as the deep fried Cheddar Cheese Balls we used to eat in Chicago. – The Gluten Fighters– a creative new project teaching Kids with Allergies how they can be also be Heroes. Wish them well www.GlutenFighters.com. 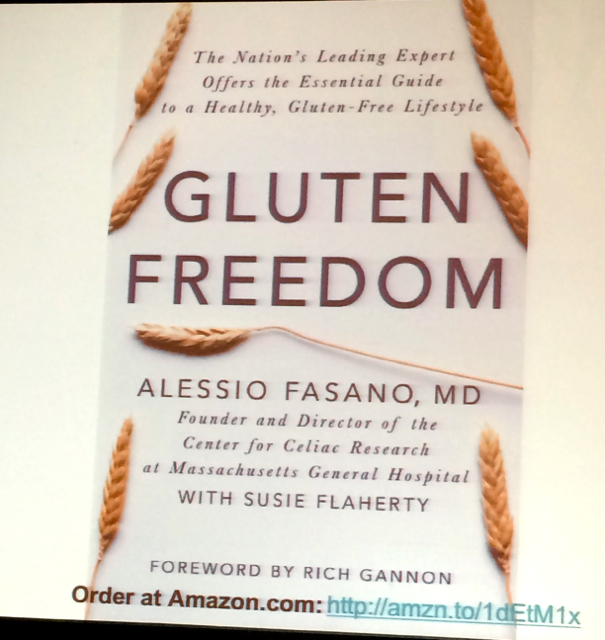 Finally, the reason I may be going back- “Gluten Freedom” a new book by Dr. Alessio Fasano, MD. The books weren’t shipped to Pasadena in time for Saturday. 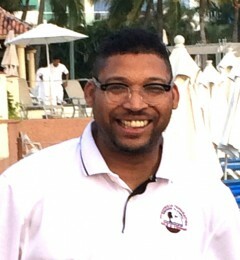 A highlight as Keynote Speaker at the Conference. It was nice to meet Dr. Alessio Fasano, MD. Unfortunately, the books hadn’t arrived for him to sign. Next time, I will give you more details on the National GF Conference, which was the opening event on Saturday. Until then, Eat and Be Well.